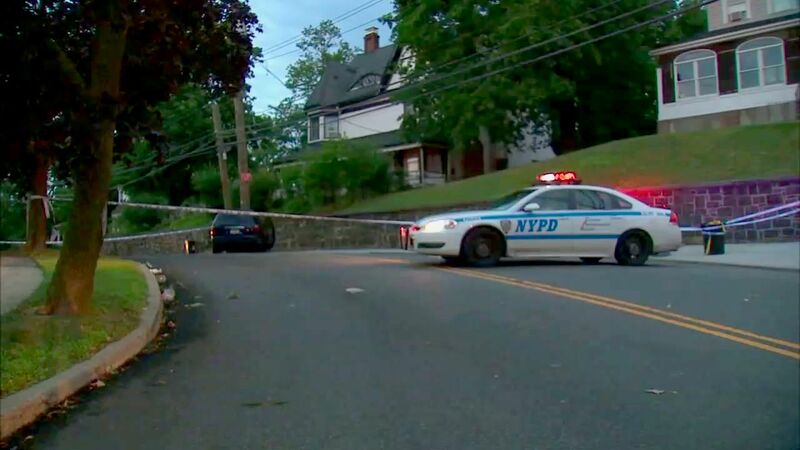 GRASMERE, Staten Island (WABC) -- A 35-year-old man lost control of a minivan while driving on Fingerboard Road on Monday afternoon, crashing into a utility pole on Staten Island. The crash happened around 4:30 p.m. on Fingerboard Road just south of the Staten Island Expressway in the Grasmere section. There were five passengers inside the minivan at the time - a 11-month-old girl, a 3-year-old girl, a 9-year-old boy, an 11-year-old girl and a 33-year-old woman. 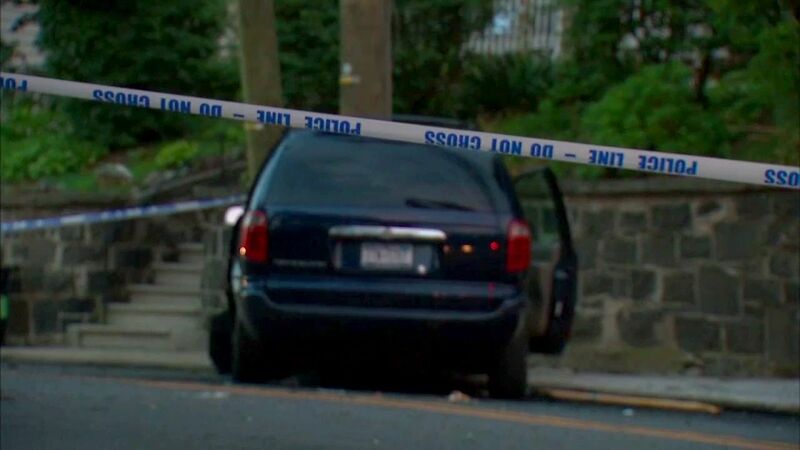 All were taken to Staten Island hospital in critical, but stable condition. 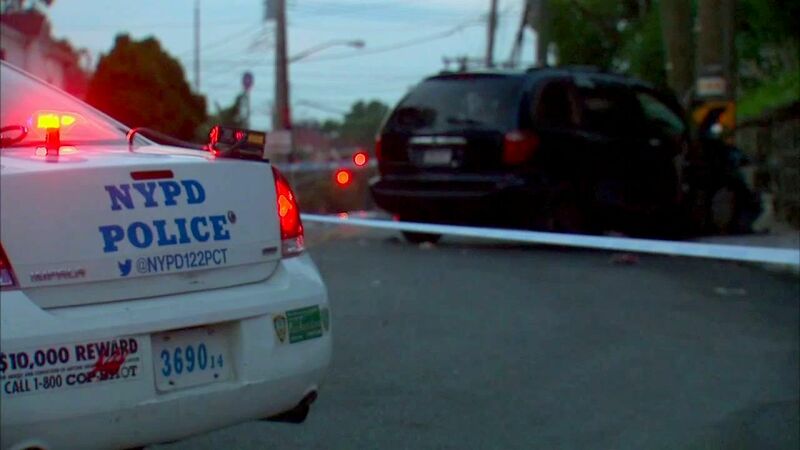 Police said shortly after the crash, off-duty NYPD officer Joseph Villarreal was driving home when saw the van crash with smoke coming from engine. He got the children out of vehicle, and with a help of a good Samaritan, got the woman out of the car. 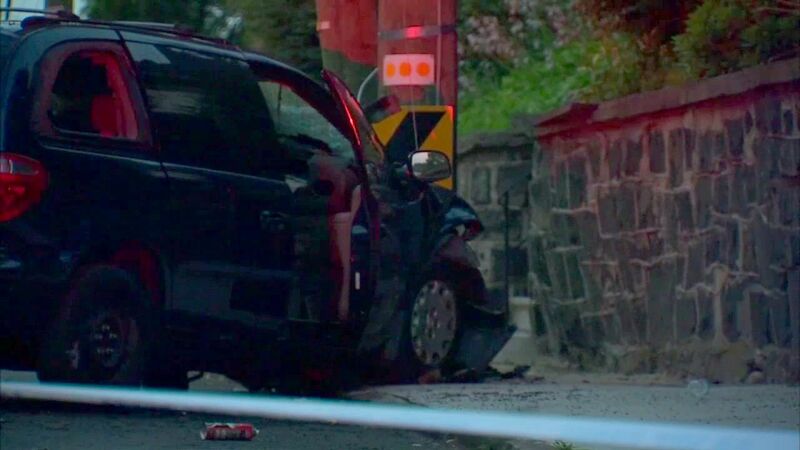 The driver is currently in police custody at Staten Island North Hospital, and is expected to be charged with DWI. Stay with abc7NY for the latest on this story.